Similar to last week, here is the rest of the Undead card sketches. Top left is ‘Jar of Souls’. 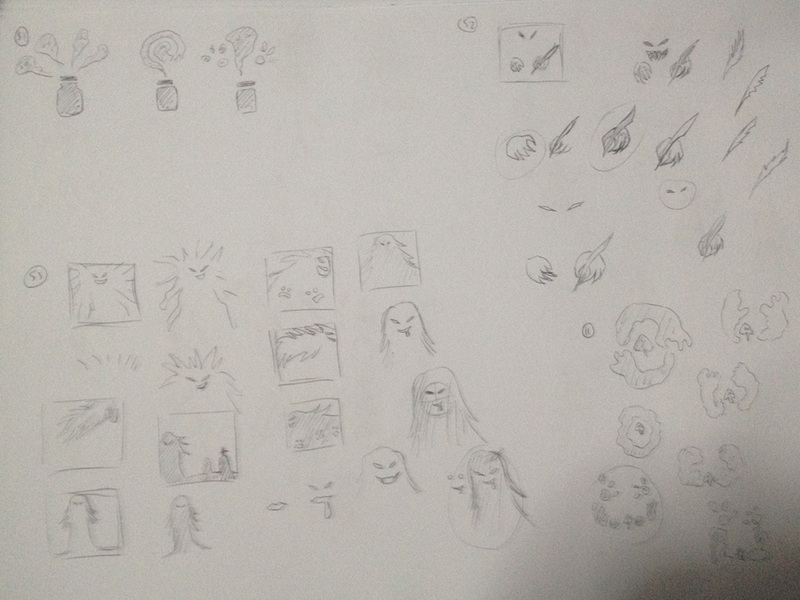 Top right is ‘Quill of Terror’. Bottom left is ‘Kiss of Death’. Bottom right is ‘Abandomed Spirit’. Next week will have art from the last race, testing and relooking at the rules.